You are here : New York City Travel Tips » My Travel Tips » Good Tips in Culture » How to visit the Statue of Liberty and Ellis Island? 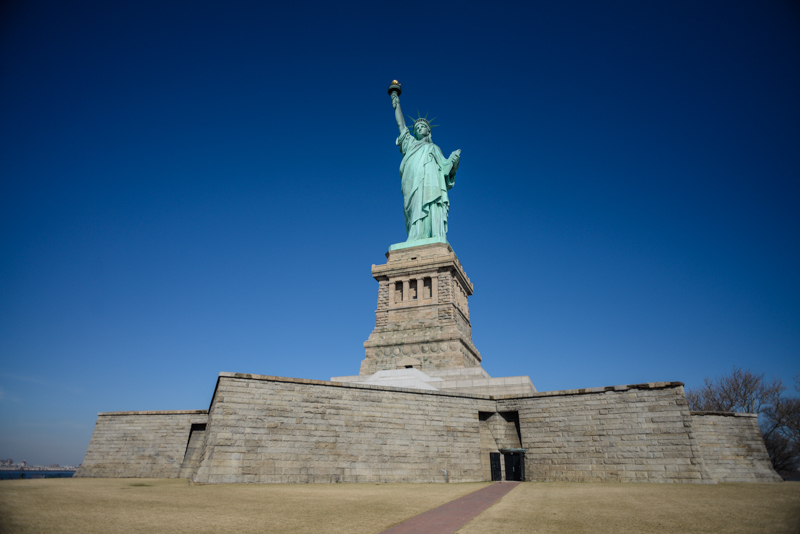 The Statue of Liberty is a must-see attraction if you’re traveling to New York. 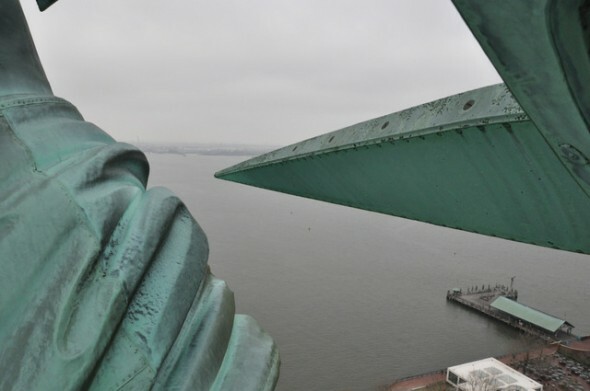 Miss Liberty is omnipresent, you can even see the Statue before landing! 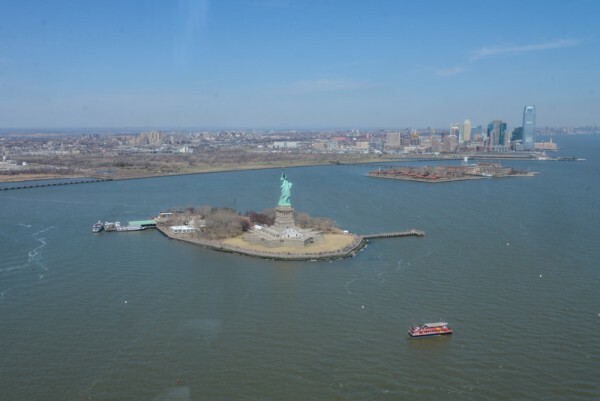 You can see it from Manhattan, the ferry, from a helicopter, you can even visit the crown! 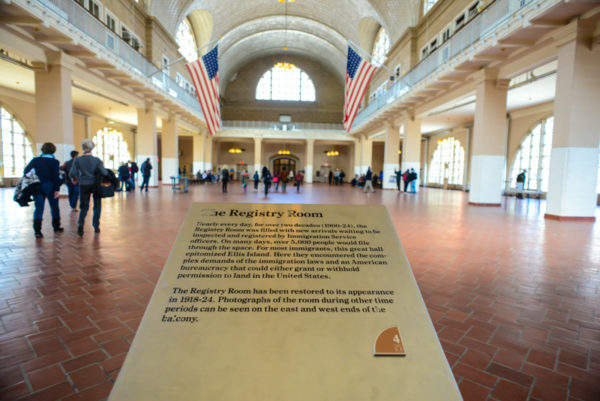 Right next to Liberty island, I invite you to explore Ellis Island which houses the Museum of Immigration. A place full of history and emotion! ├ Where to take the ferry? ├ When is it better to visit the islands? ├ What about the ferries? 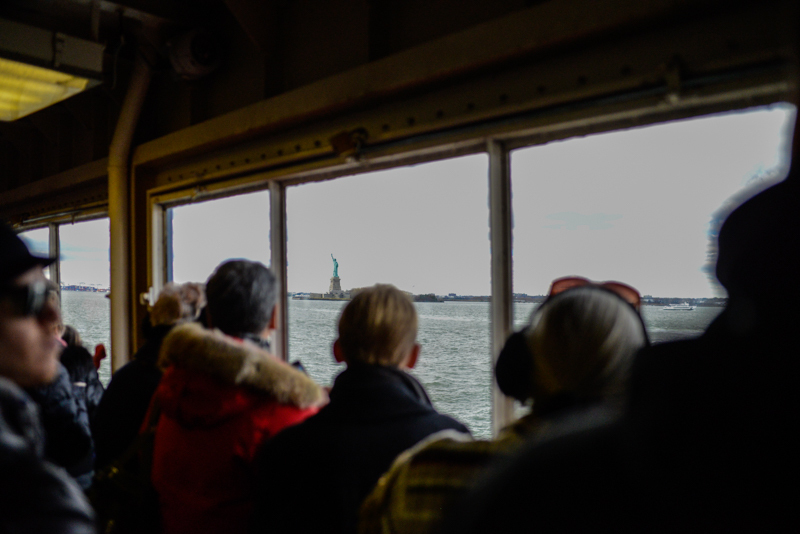 ├ Is there any other option to see Liberty Island And Ellis Island? - climb up to the crown of the statue. For the first visit, you can buy any pass because the visit is included in all of them. I always recommend the New York CityPASS, it grants admission to the main attractions of New York! You can also purchase your visit on the official website of the Statue of Liberty. 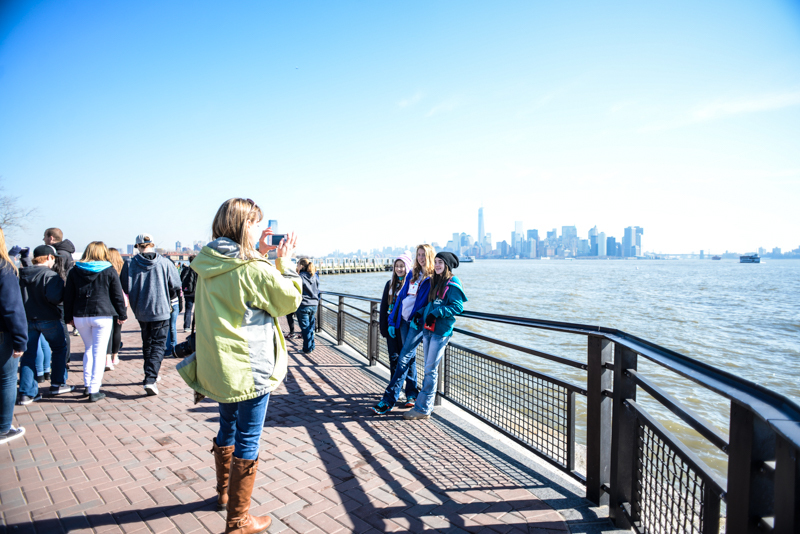 Enjoy the view on Manhattan from Liberty Island! IMPORTANT: please not that if you want to visit the pedestal and/or the crown of the Statue, you have to book your tickets 3 to 4 months in advance on the official website. 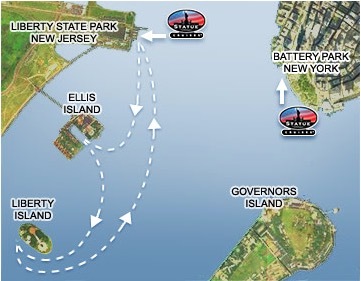 Before of after the visit of the Statue of Liberty (it depends if you started the visit from Battery Park or Liberty State Park), you'll head towards Ellis Island. This is where you can find the Immigration Museum. The audioguide is REQUIRED! It provides a lot of information, including background sounds! Sometimes you will be so immersed in the narrator's story, you'll feel it. This museum is very well done with beautiful displays. It's quite touching to know the stories of these immigrants. This enabled me to understand the history of the United States and the organization of some "neighborhoods" of New York. Where to take the ferry? - From New Jersey at Liberty State Park. You can see in the pictures above that you visit one island first, and then the other. 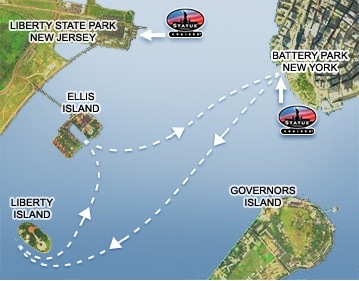 If you depart from Battery Park, you'll first land at Liberty Island. 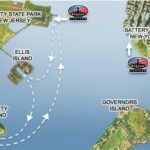 If you depart from New Jersey, your first stop will be Ellis Island. If you want to start the visit from New Jersey, you can take the Liberty Landing Ferry to cross the Hudson River. You will arrive at the Liberty Landing Marina. 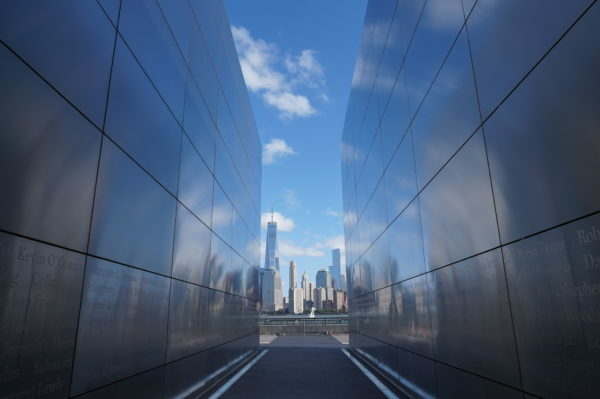 From there you have to walk towards the park, don't miss the 9/11 Empty Sky Memorial! When is it better to visit the islands? It depends on the ticket you purchased. 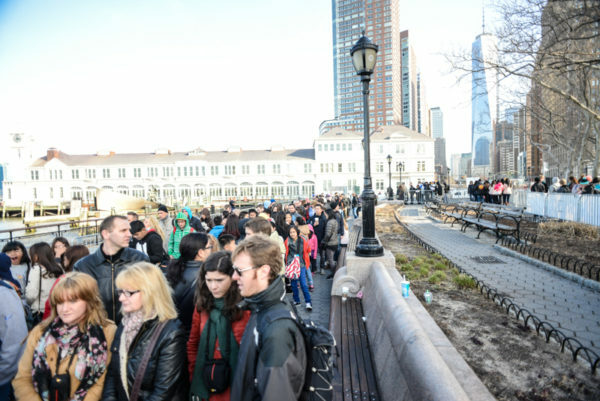 If you have a pass, I strongly recommend that you get to Battery Park not later than 8.15am to embark as soon as possible and avoid the long wait time. Because if you come around 10-11am or in the afternoon, good luck to you !!! 95% of the tourists embark at Battery Park, so if you decide to start the visit from Liberty State Park, you won't find as many people as in Battery Park. BUT, the islands will be very crowded during the day. The best is to come as early as you can and enjoy "empty" islands. If you have a ticket for the crown or the pedestal, you must redeem your ticket and then go through the security screening. The time on the reserve ticket allows entry into the screening facility not an actual vessel departure. It's recommended that you arrive approximately 30 minutes before your scheduled reserve time. 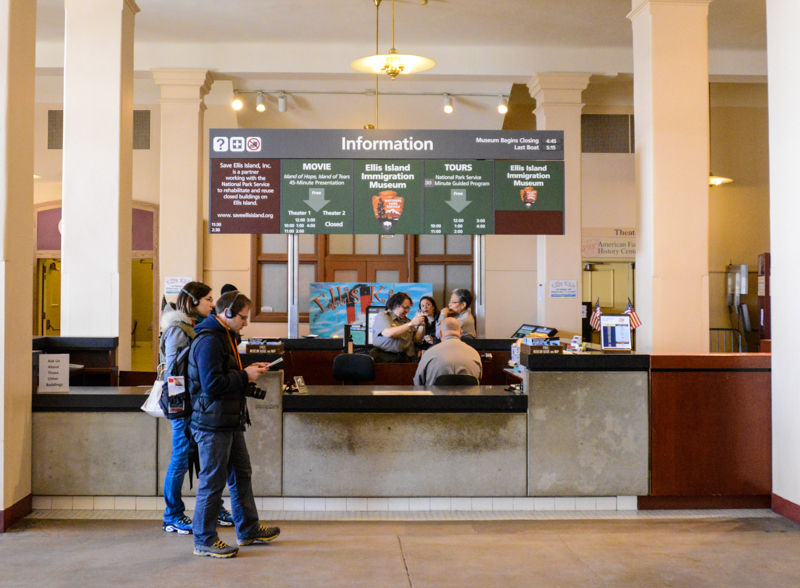 For example if your visit is scheduled at 10am, you must arrive at the point of departure at 9.30 am so you can redeem your ticket and go through security screening at 10 am. Security screenings are mandatory before boarding the ferry, it's a metal detector as before boarding a plane. So be careful if you bring sharp objects. The ferries depart every 20 to 30 minutes. You can embark from one side and return to the other. You just have to make sure to use the appropriate boarding location at each island. 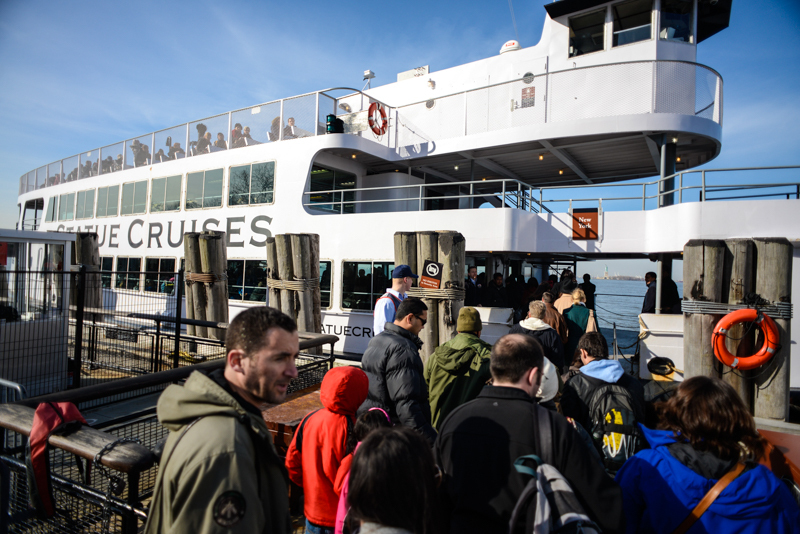 But note that once you disembark on the other side, you will not be able to board the ferries back to your original departure location. 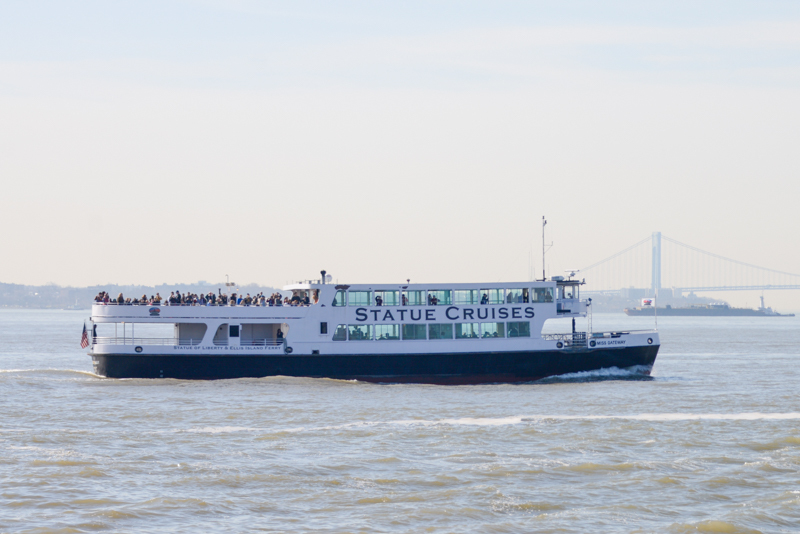 The ferry approaches slowly to the Statue of Liberty, leaving Manhattan behind. It’s amazing! Review the weather forecast before your visit. Is there any other option to see Liberty Island And Ellis Island? Yes, but remember, only a pass or a ticket bought on the official website grants you with the access to the islands. - take a helicopter tour! 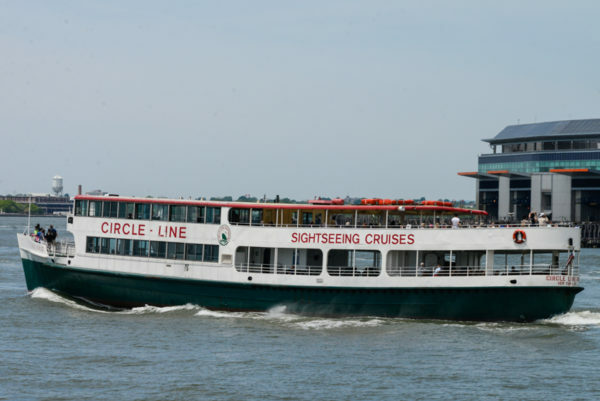 - if your budget is tight, or you are not interested in visiting the Statue of Liberty and Ellis Island, simply take the ferry that goes to Staten Island. It is free and does not pass very far from the statue. There is a departure every 30 minutes. Whatever tour you choose, don't forget your camera! In my opinion, you can't miss the visit of the Statue of Liberty and Ellis Island. They really are a must-do in New York City. You'll understand more about the City and the history of the United States. Do I have to say that you'll enjoy the view too? 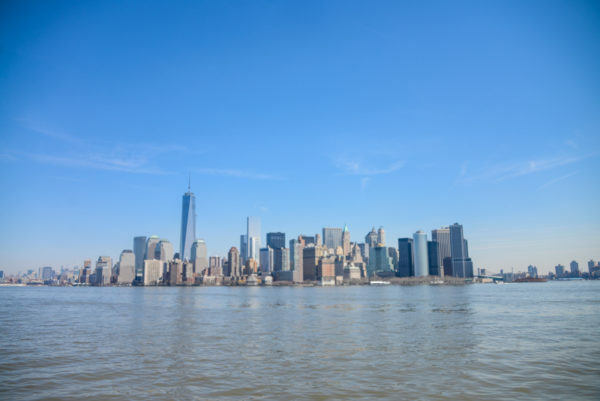 It's amazing to see the New York' skyline from the ferries and the islands.